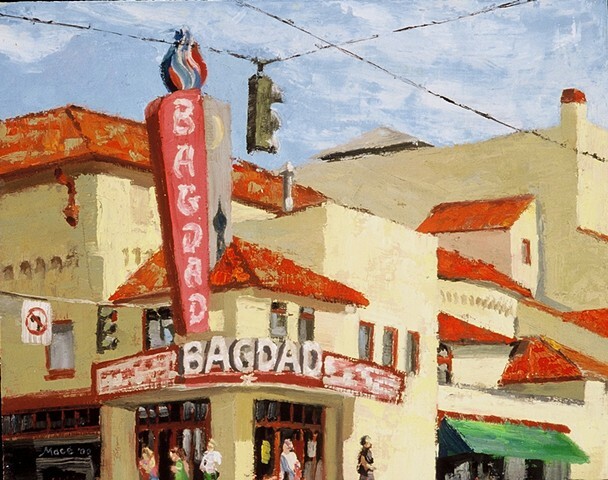 Painted from the sidewalk across the street from the Bagdad Theater in Portland, Oregon. This was when I lived a couple of blocks away from it in the Hawthorne district. The painting now belongs to Jennifer Zika who is the manager of the Rental Sales Gallery at the Portland Art Museum.